Bob Goff leans forward -- elbow on one knee, hand cupped under his chin -- as he explains his latest goodwill effort to a visitor. With the attentive posture and an excited tone, Goff causes his guest to lean in as well, two men ready to hatch a plan. It's a common sight surrounding any conversation with the charismatic 51-year-old San Diego attorney, whose enthusiasm for helping others is infectious. "He's a profoundly generous man," said Jamie Gates, director of the Center for Justice and Reconciliation at Point Loma Nazarene University. "He's generous in spirit, generous in life and generous in pointing others to do the right kind of things. "He's very whimsical, very hopeful and really does believe that anything is possible." Goff is a construction defect attorney and part-time professor by trade, but his passion is delivering justice to the voiceless children of war-torn Uganda. He refers to his efforts halfway around the world as "capers," impractical, yet irresistible missions. Six years ago, Goff launched the nonprofit organization Restore International, which helps free wrongly imprisoned children in Uganda and combats child trafficking in India. He uses his tools as an experienced attorney to try cases and prosecute warlords, getting Ugandan judges to open courtrooms that had been shuttered by countless years of unrest. "Instead of having intellectually interesting conversations or learning about what's happening in Uganda -- that's what stalkers do; they learn things about people, but they don't know them," Goff said. "So what if we stop stalking these issues and what if we get some skin in the game, and we just do something. "I suppose if I had experience in another field, I would bring that, but it's kind of like a pickup basketball game. You bring your shot. If you've got a hook shot, you bring it; if you aren't a shooter, you pass it." His "shot" is the basic concept of justice and making sure it applies to Ugandan children, many of whom have been imprisoned for years without setting foot in a courtroom. He simply began by approaching judges in Uganda and asking them to hear cases in the northern part of the country, offering to provide for their protection. The African jurists had avoided northern Uganda for decades because of the region's instability and the fear of getting shot or abducted. In their first trial, Goff and Restore International volunteers tried 72 cases, managing to acquit all but one child. They since have helped send hundreds of kids home for good. 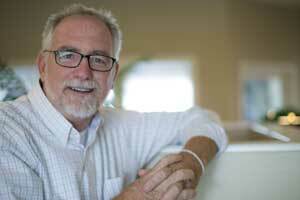 "Bob Goff is the kind of person we all wish we could be," Dean Nelson, director of the journalism program at Point Loma Nazarene, wrote in an e-mail. "He practices law at a high level, and yet he sees a bigger purpose to his life. "He began focusing on something much more than construction defects -- he wanted to help address human defects." Goff is a founding partner in the Washington state law firm of Goff & DeWalt. He's also an adjunct professor at Point Loma Nazarene, where he teaches a class in business law, and he gives a course on nonprofit law at Pepperdine University. "When I'm practicing law, then I'm game on," Goff said. "But as to this idea of philanthropy and caring, it's not about writing a check. It's just getting to the 'do' part of faith. "What if we make this a place where we're really serious about practicing law and the things we're doing in construction, but we're really serious about making a difference in Uganda?" He refers to his law practice as "fundraising" and relishes taking on opponents in court, knowing the attorneys' fees will be going to support Restore International. Goff, who travels regularly between his Washington office and San Diego, purposely maintains a low-key office above a Laundromat in Point Loma. A follower of the teachings of Jesus, Goff said his faith keeps him from boasting. He travels to Uganda every 100 days, spending between 7-10 days during each visit. While there, he talks to judges, tries cases and visits the school he helped found, Restore Academy. The school in northern Uganda has an enrollment of 230 students, all of whom are internally displaced persons -- refugees within their own country. "It's humbling to be partners [with him] in teaching other students what their lives should be about," Gates said. "He has considerable resources in all ways -- friendships, finances and influences. He could be using those for a lot of different causes and interests, like his own, but he doesn't. He pursues cases for the least of these, like trafficking victims." Goff also has a way of turning conventional wisdom on its head. For example, instead of offering a sponsorship program for children in Uganda, Goff has his Ugandan children helping underprivileged youth in Portland, Wash. The kids are raising funds by harvesting food in a 50-acre garden they maintain in Northern Uganda. "We want to teach our kids in Uganda leadership," said Goff, who calls it "looking through the other end of the telescope." "I know one thing about God, He's nuts about kids," he continued. "If we're helping kids, we're in the right ZIP code." Additionally, Goff has purchased the Uganda law library, was selected as a diplomat by the Ugandan government and, three years ago, organized a meeting of all Ugandan judges and got former U.S. Attorney General John Ashcroft to attend. "It started this wonderful chain reaction within the judiciary," Goff said. "It deepened these friendships with the judges." The judicial summit spurred an internship program in which five Ugandan high court judges will soon come to California to work with the law students of Pepperdine Law School. "The law is the language of diplomacy; it's the language of business; it's the language of commerce. So why not use that in a whimsical way to say, 'What if we hatch a caper?'" Most importantly, Nelson points out, Goff gets results. "(He) took stock of his life and saw that it could be more, and that his impact could be global," Nelson wrote. "His priorities are focused on improving the lives of the powerless, and on reflecting the life of Jesus."